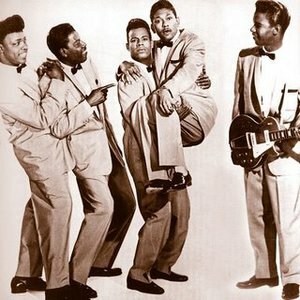 The Coasters were formed in Los Angeles, California in 1955 by Carl Gardner (tenor) and Bobby Nunn (bass) after the split of doo wop group The Robins. Their collaboration with legendary songwriters Jerry Leiber and Mike Stoller gave them a unique sound that was very humorous most of the time. Their first huge hit came with "Young Blood" and "Searching." They also had success with hits such as "Yakety Yak," "Charlie Brown," and "Little Egypt." Their collaboration with legendary songwriters Jerry Leiber and Mike Stoller gave them a unique sound that was very humorous most of the time. Their first huge hit came with "Young Blood" and "Searching." They also had success with hits such as "Yakety Yak," "Charlie Brown," and "Little Egypt." Gardner was still touring with The Coasters as late as 2005, although he is the only surviving original member. Gardner is now semi-retired and has handed the reins over to his son Carl Jr. In 1987, they were inducted into the Rock & Roll Hall Of Fame, thus becoming the first group to be inducted (the other inductees at the time were solo acts). In 2000, they were inducted into the Vocal Group Hall Of Fame. In 2004, "Young Blood" was #414 on Rolling Stone's Top 500 Songs Of All Time. "Young Blood" and "Yakety Yak" were part of The Rock & Roll Hall Of Fame's 500 Songs That Shaped Rock & Roll. The band's song "Down in Mexico" appears on the new film, Quentin Tarantino's Death Proof.